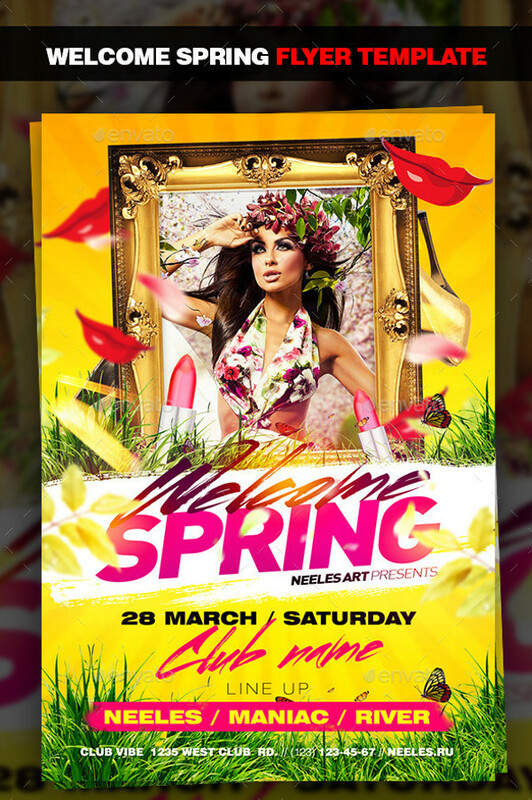 Springtime is the most beautiful season of all and best time for parties too. 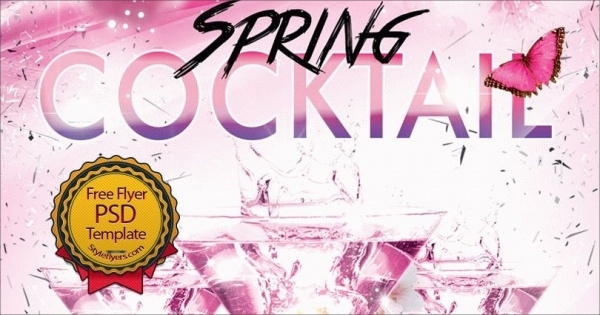 Celebrate this spring by hosting mad and super fun parties and watch your friends call you the best host ever. 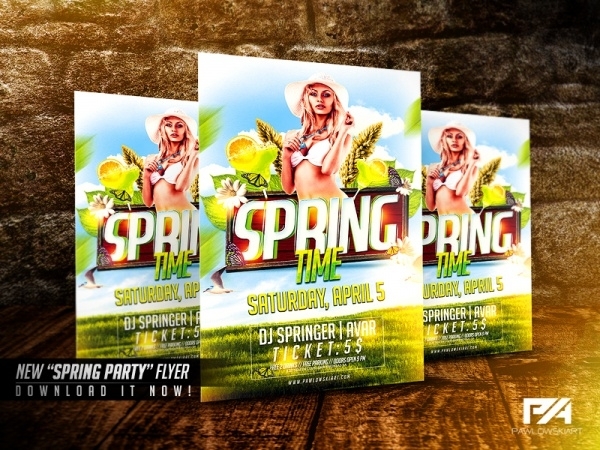 Use these creative spring flyer templates, handpicked, and edit them to your liking. You may also see Karaoke Flyers. This template gives the feeling of warm and breezy, because of the uses of warm summer colors. It is available in two colors. 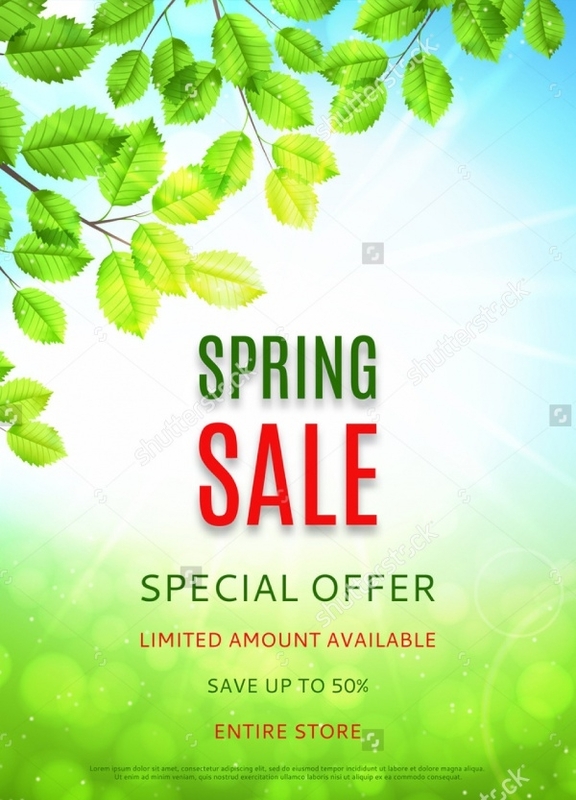 This template is available for download in PSD format, and so the front cover can be edited, covers changed and the colors done to your liking. You may also see Invitation Flyers. This template is subtle and cool, allowing one to get the feeling of beating the heat with this super cool cocktail party. These can be edited to change the main color as per your liking. 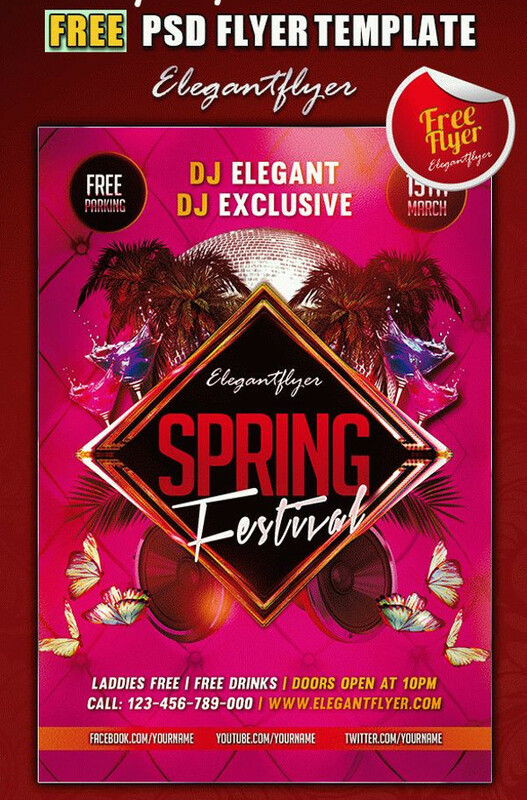 You nay also see Cocktail Flyers. This vector is formal and simple, using royal blue as the base. 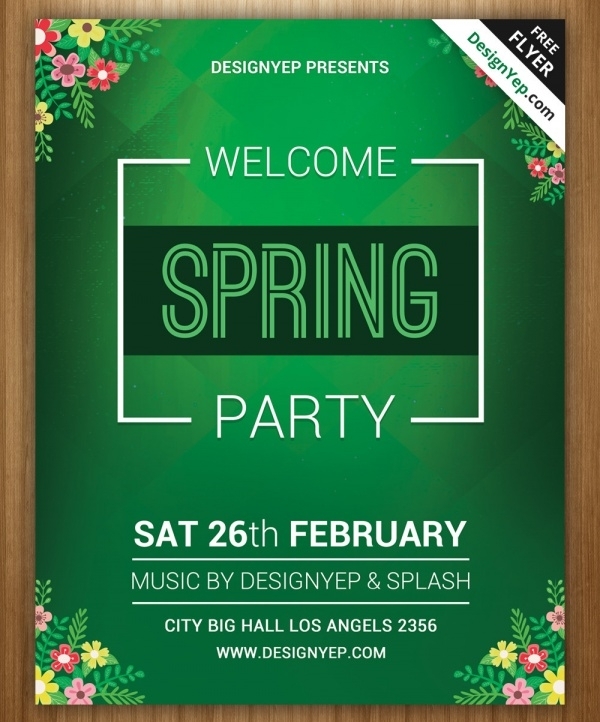 The big floral print is the main attraction of this template, can be used for outdoor spring or summer parties. 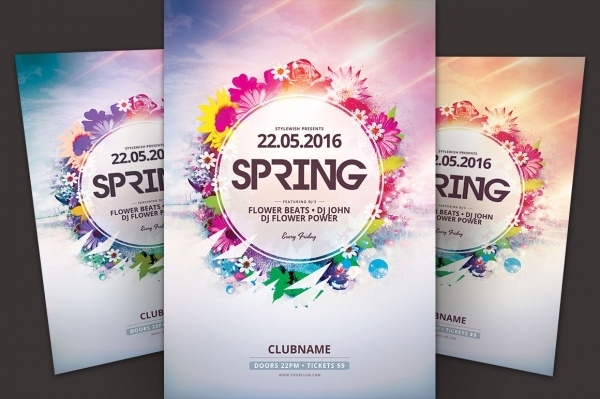 This edible PSD format template is bright and shiny, best for loud music and cold beer, to beat the summer. 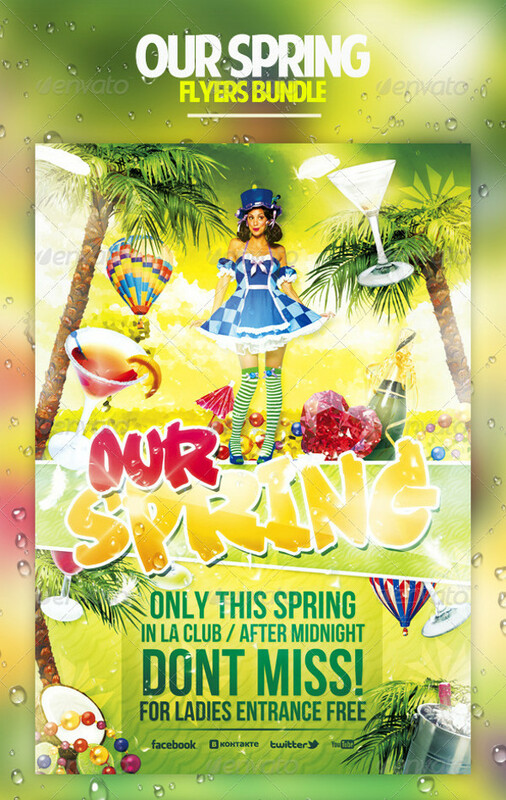 The yellow and the font of the template are catchy, perfect for a tropical spring party. 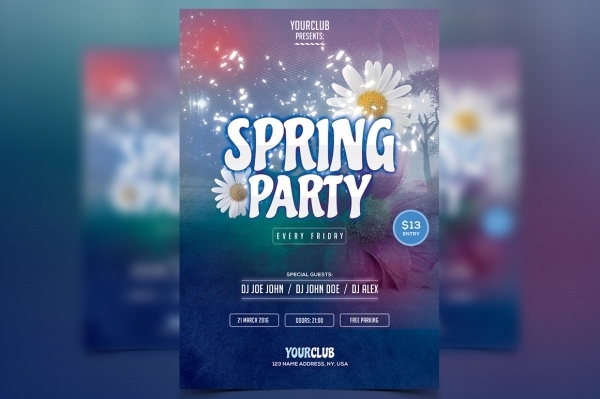 The beautiful design is well done in their colors and font, with the use of cool blue and pink combination, perfect for semi-formal parties for springtime. 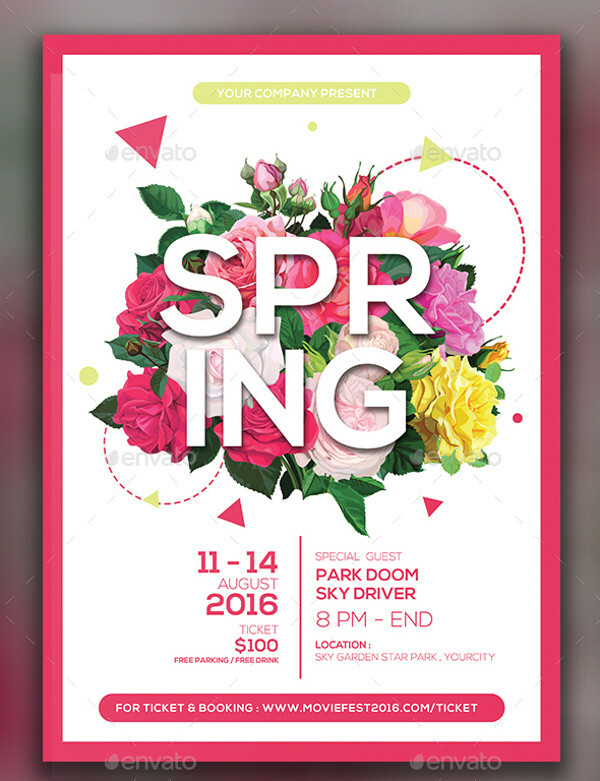 This spring flyer template is bright and pink. It is also available in other colors and can be edited to change the font, style, and color. 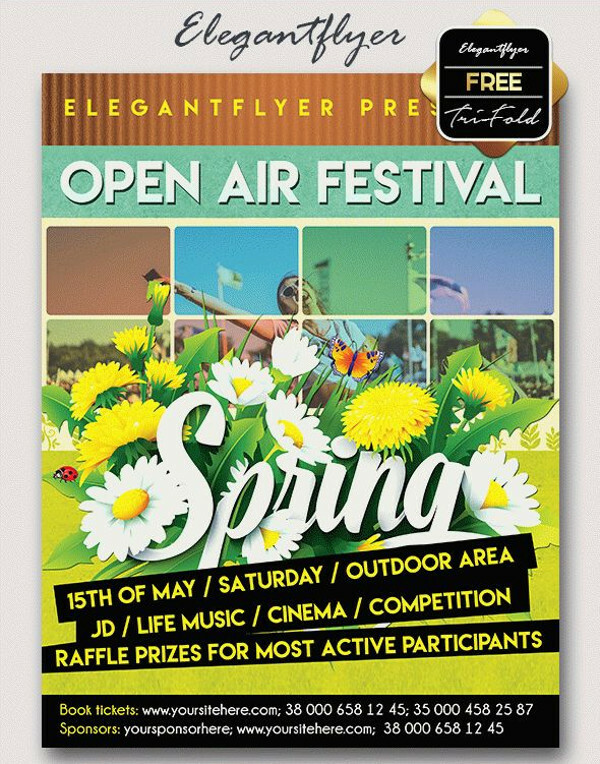 The varied use of summer and warm colors has the perfect balance with the details given and the font used. 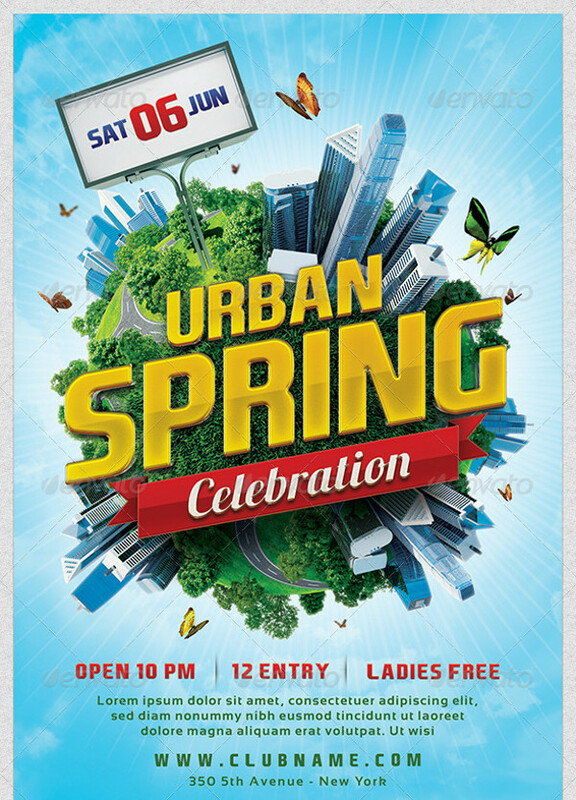 Edit them to your liking and use them as a summer party flyer. This design is modern and unique, with the whole information placed over an attractive background picture. 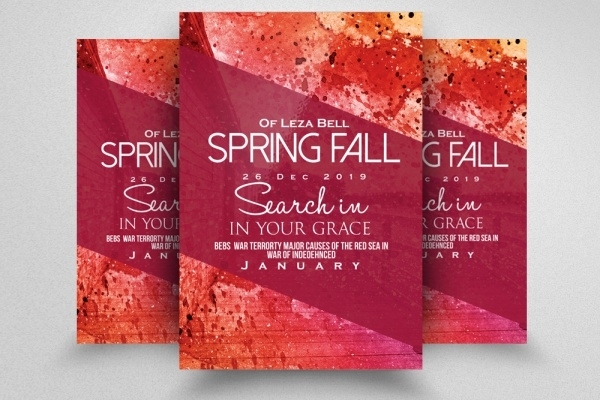 All layers are editable in this PSD format. This draws you a picture of a perfect getaway for spring break! Coconuts and palm trees, perfect as it is. 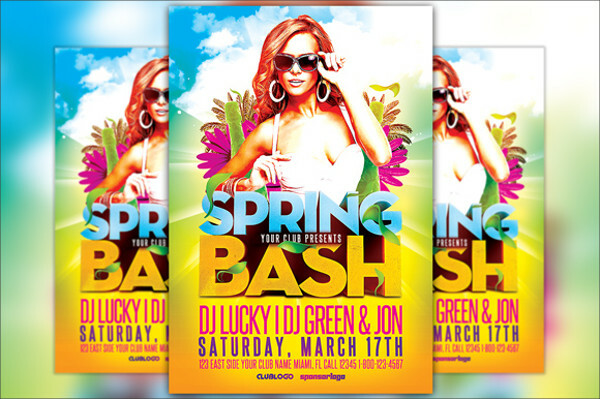 Available in many colors, this template is bright and cheerful; everything a party invitation has to be. 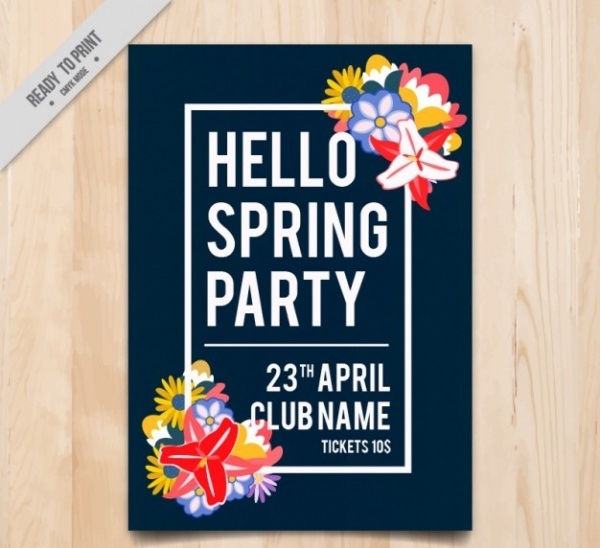 This is a formal and yet cool template, perfect for corporate and commercial use, to invite your colleagues for the spring party. This template gives a feeling of outdoors and summer. Use of green and blue attracts the eye. Use this template for your next outdoor party. Use this template for your party and beat the blues with this cool colored template. 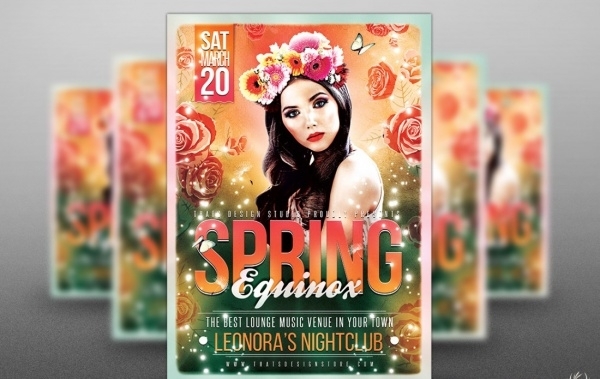 This template can be edited as each layer was created separately and is available for download in PSD format. This template is easy to edit, not that it needs it. It paints the picture of a perfect beach party. This template is practical and simple, and yet classy. The use of bottle green background contrasts with the floral designs. Spring is the perfect time for an excuse to submerge in the warm pool in the crisp evening air with a Pina colada in hand. 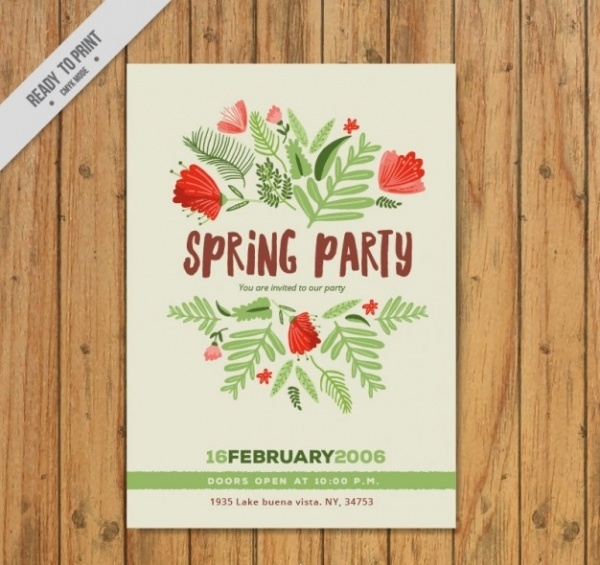 Use this excuse to host those outdoorsy beach parties or summer cocktail parties, using these creative templates for the invitation. Let’s face it. 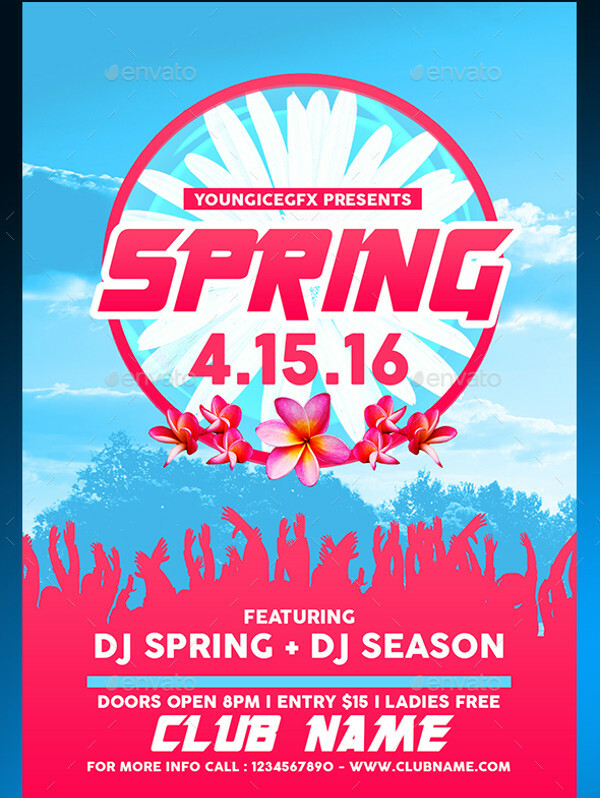 We all deserve a spring break!